We are experts in all things HubSpot. We're an international team of HubSpot masters, from Inbound Marketing to CMS/COS. Platinum HubSpot Partner. With 40+ years of experience in editorial publishing, content, marketing and website development, it is in our DNA to craft experiences that help your business gain more customers. As a fully certified HubSpot partner, we master all complexities of HubSpot. “It’s been a pleasure to work together with the team at leadstreet as they utilize the HubSpot platform to its fullest capabilities” – Robert Bauch, International Product Development, HubSpot. Success stories. From tech start-ups to large enterprises, across Europe and North-America, we help our clients get more clients. After comparing some Hubspot partners, we chose to work with Leadstreet and we did not regret this decision. They are very fast responsive and offer their services at a better rate. We asked Leadstreet to redesign our company templates for emailing and landing pages and to give their feedback on our account possibilities. After a short introductory meeting they understood fast what our need was and answered all our questions correct and quick. Their training for our employees how to use Hubspot optimal was very clear. Thank you for helping us to improve and optimize our Hubspot account and for the easy communication! leadstreet did great a job implementing HubSpot for Sentia Belgium. A couple of months later we are already rolling out to Netherlands and Denmark too. Together we optimized the entire marketing automation process from A to Z, giving us the foundation for European growth. Most important, leadstreet is always there when you need them. They are swift to help us out with fixes, act on new requests and are a great sparring partner when having new ideas. Many thanks to the whole team, I would definitely recommend them when looking for a HubSpot-partner! Took their time to introduce me to the free package of Hubspot including all the technical challenges faced with the integration of Outlook 365 on Mac. Microsoft could learn from them! We asked Leadstreet to redesign our complete landing page template, including custom made modules. They delivered a very good, extensive and easy-to-use template with a lot more options than our previous one. Together with Leadstreet we keep improving and optimizing the template as we move forward. They are very quick to help us fix any bugs or add any extra elements we would like to add. Thanks for helping us out! 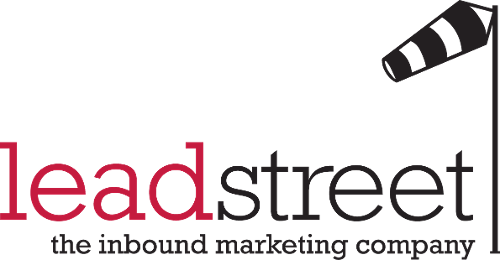 Leadstreet did a great job during the setup of our blog and they have a profound knowledge of Hubspot. Communication works flawless and the follow-up in case of questions is fast and effective! Many thanks to their team! As a content agency, we regularly join forces with leadstreet to develop and implement inbound strategies in Hubspot for joint customers. Experience teaches us that they are rightly called the leading HubSpot agency in Belgium. Their combination of deep, technical expertise and solid strategic insight is a perfect complement to our services. Because of leadstreet's no-nonsense approach and fast, transparent communication, they are a preferred partner we dare to call upon without hesitation. Successful projects for brands such as VELUX and Actiris speak for themselves. We are happy to recommend leadstreet to anyone who wants to take big leaps forward with content and inbound marketing.